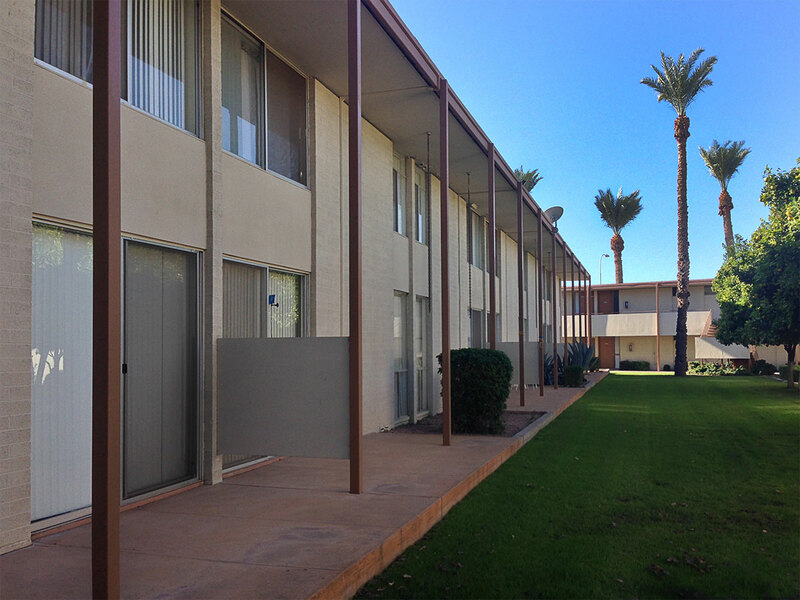 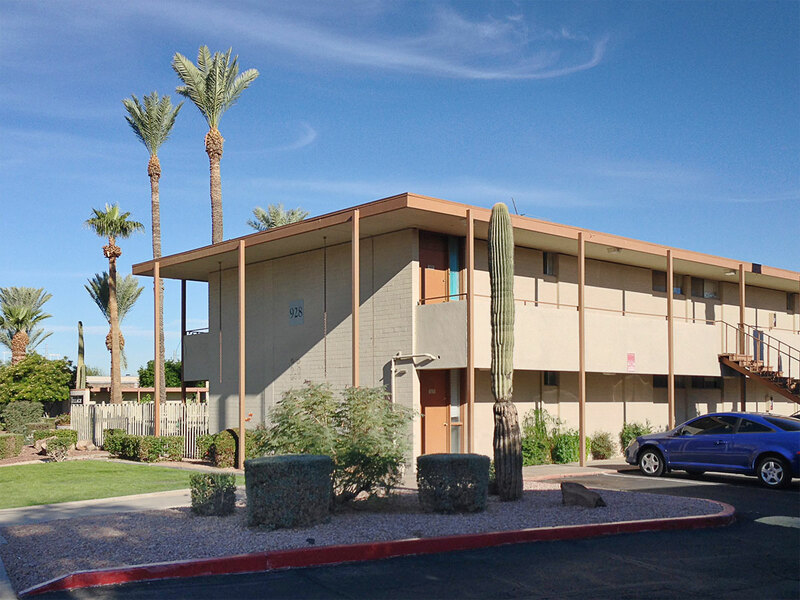 Located just a short walk away from Arizona State Univeristy, generous and green open space between the facing patios remains the heart of the "university park" concept. 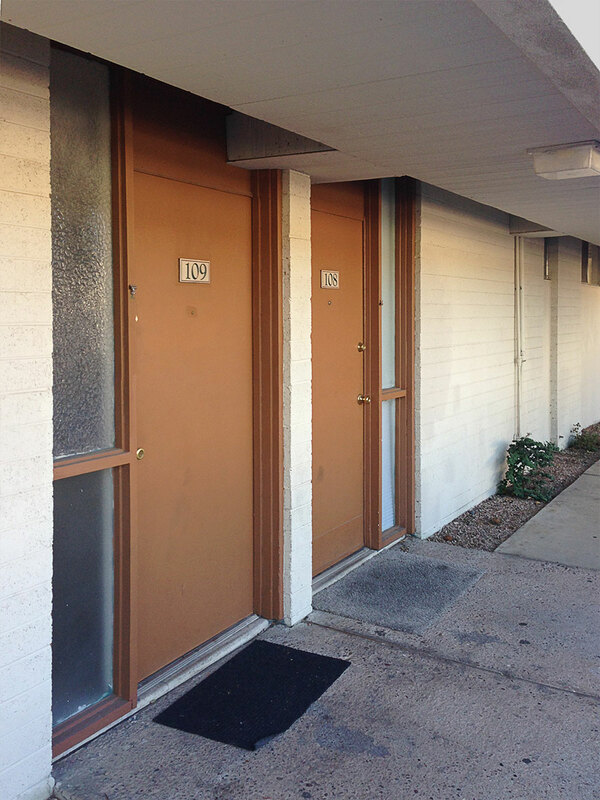 The apartments are currently endangered as developers move to level the property. 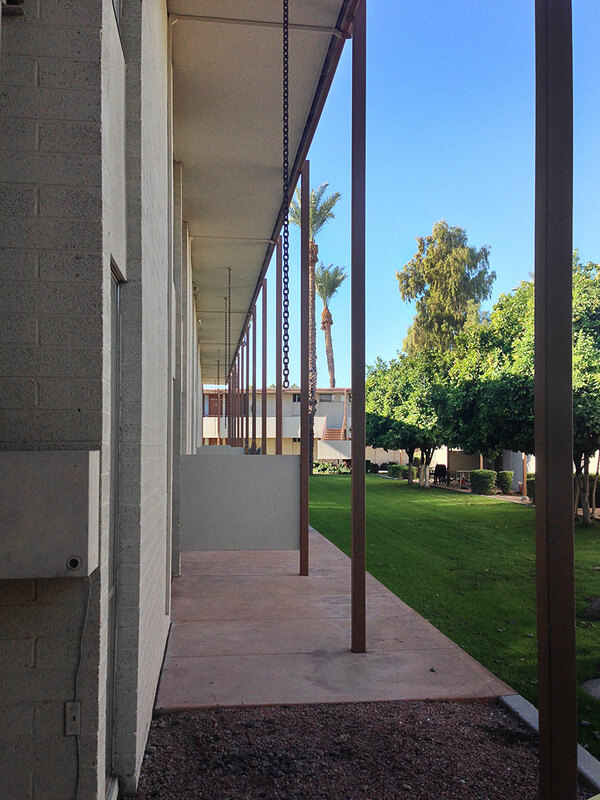 Curious metal chains are spaced between patio areas, a detail seen consistently in other buildings as well.